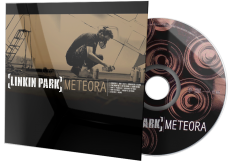 Meteora is the second studio album by American rock band Linkin Park. 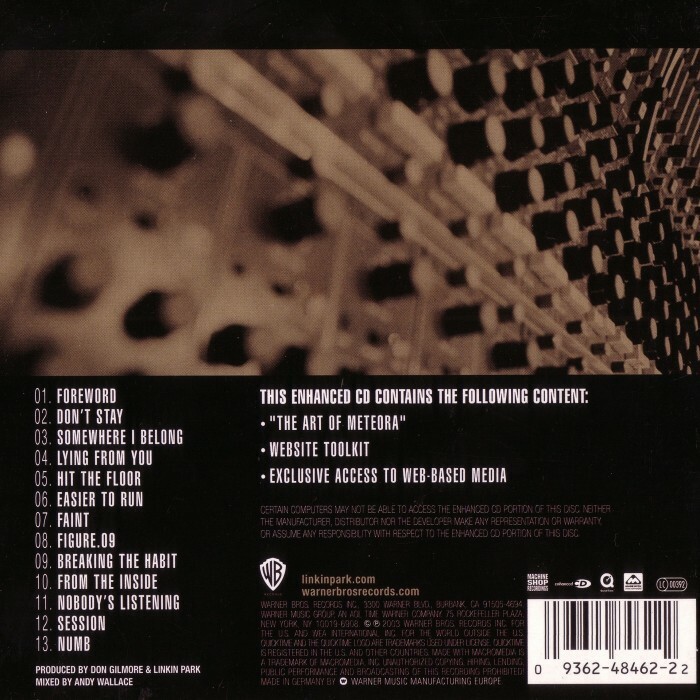 It was released on March 25, 2003 through Warner Bros. Records, following Reanimation, a collaboration album which featured remixes of songs included on debut studio album Hybrid Theory. 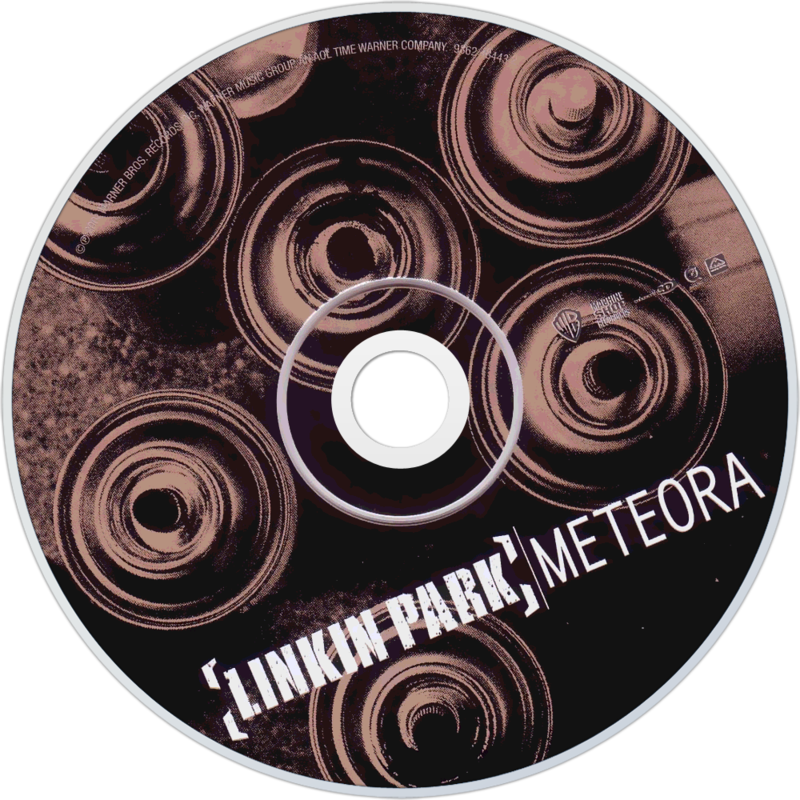 Linkin Park released singles from Meteora for over a year, including "Somewhere I Belong", "Faint", "Numb", "From the Inside" and "Breaking the Habit". Meteora takes it title from the Greek Orthodox monasteries. 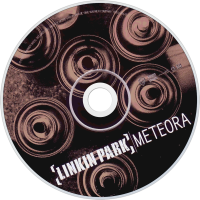 Meteora is the most successful album in the history of the Alternative Songs chart, a chart that specializes in radio play (with its audience impression) of alternative rock songs. "Numb" was the biggest song of the year on the chart. The album has sold over 11 million copies worldwide as of 2007 and was ranked number 36 on Billboard's Hot 200 Albums of the Decade. The song "Session" was nominated for the 2004 Grammy Award for Best Rock Instrumental Performance, losing to Jeff Beck's "Plan B". Frustrated? Electronic gadgets don't work. When you hit them they still don't work. You get into stupid arguments with stupid people about stupid things. That's where Linkin Park come in. The shout "Stay away from me!" on the first track on their new album. You know exactly how they feel. They are angry and insecure and clever and great. Hybrid Theory was the best rock album of the past three years. It was also the best selling album in the world in 2001. A tightly controlled montage of hooks, riffs, dodgy rapping, roaring, sweet singing, noises and scratching, ruthlessly edited into classic songs. Sixteen year olds going through hormone hell loved it. So did their dads. It's therefore no surprise that Meteora doesn't live up to its predecessor. The riffs, hooks and shouting are all present and correct. But the first four songs all sound the same and the guitars don't cut through as they should. But then "Easier To Run" comes along. It's gorgeous: a wonderful sad power ballad, and will surely becomea huge hit single. After that every track gets better. "Faint", built around a driving string sample, is the first song to really break sweat and get your head shaking. "Breaking The Habit" is a paranoid version of Don Henley's "The Boys Of Summer": a very good thing. "Nobody's Listening" is strong, confident rap metal. "Numb" is bitter-sweet and beautiful and ends the album on a high. The best of these songs are powerful, emotional, disciplined and impressive. I'm not supposed to like this album. I'm 43 not 16. But although it's patchy, there are still moments which move me to tears. There are two possible explanations. Either I'm emotionally retarded. Or Linkin Park make great music.